Sure it feels better working when the sun is out! Together with the sun, the tourists have come back, and surprisingly enough, most of them are Chinese, who this time seem very active on the local real estate market. That brings me back to virtual real estate – I was studying my spreadsheets this weekend and noticed something amazing: numeric domains that used to sell for $40k just three months ago are now at a minimum of $50k-$55k (I am talking about domains without a 4). The few people who have not caught up to this, already sold their assets; and the many sellers who did have increased their prices. 1. China’s growth has brought unexpected wealth to middle classes. With a strong saving culture, Chinese have been looking to invest their money somewhere. With bank returns on the low side, laws against investing abroad, and the domestic stock market being so volatile, the Chinese middle classes has been pouring their money into real estate, fueling one of the largest construction boom of the past years. There is a urban legend saying that Shanghai in the nineties used to host 1/4 of all the world’s construction cranes, just check this amazing picture. The problem is, with the demographic growth limited by the one-child policy, many apartment buildings in big cities are now empty and do not generate revenue. Many people believe that the real estate market in China is about to crash and there is a frenzy from wealthy Chinese to relocate their money elsewhere, possibly in intangible assets. 2. Canada just announced the closure of its immigration program destined to millionaires. 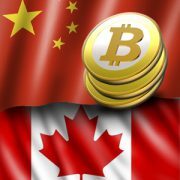 By rejecting about 60,000 applications (mostly from China), Canada has now to refund tens of billions to wealthy Chinese that are now looking to invest their money elsewhere. Some of them are looking to invest in other places like Portugal and St Kitts and Nevis, who are offering similar programs – either way those billions are definitely going somewhere. 3. Another client of mine recently mentioned that the decrease in bitcoins investment is slowly reflecting in an increase of the money poured in the domain market. While I am not an expert on this specific market, this might be an additional reason why the youngest generation of Chinese is now looking at domain names. Whatever the truth is, there has been a clear, noticeable 20% to 25% price increase on all numeric domains. 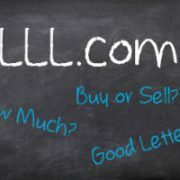 LL.com, LLL.com, LN.com and NL.com have also increased in price, along with any domain that has a clear cut liquid value. Will this trend continue? Only the next months will tell. As usual, feel free to contact me if you have any interest in investing in numeric domains, we have one of the largest inventory on the market available for sale. Stay tuned and all the best…from Lisbon! 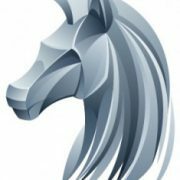 As a leading premium domain brokerage and monetization company, Domain Holdings Group is proud to announce representation of an exclusive premium domain offering – Deposit.com. Super premium domains like Deposit.com have proven time after time to enhance a brand’s online presence, improve SEO, provide greater consumer trust and more. Companies who have already capitalized on the power of generic domain names include Bank of America (Loans.com), American Express (Open.com), Citigroup (Mortgage.com), Salesforce (Data.com) and many more. “Such a key financial domain is extremely valuable in today’s world where trust and security are among the first thing consumers look for in a financial institution,” remarked Alan Dunn, SVP of Acquisitions and Divestments for Domain Holdings Group. 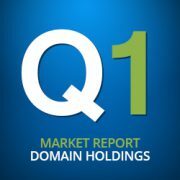 Descriptive, category owning domain names like Deposit.com in the financial industry have commanded some of the highest sales in history. Reported comparable sales to Deposit.com include PersonalLoans.com ($1 million), Investing.com ($2.45 million), Local.com ($700,000) and Shop.com ($3.5 million). 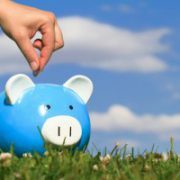 Deposit.com is the perfect name to attract the growing consumer demand for savings. “The word deposit offers a strong branding platform and its short length, spelling ease and global recognition provides the successful acquirer with instant name recognition – something which many companies often spend millions trying to create,” noted Joe Uddeme, Director of Business Development for Domain Holdings Group. Available exclusively through Domain Holdings, parties interested in Deposit.com or other premium generic domains are encouraged to contact Joe Uddeme, Director of Business Development, at +1 410 977 0693 or joe@domainholdings.com. Domain Holdings is a world-class service provider in the buying, selling and monetizing of premium domain names, historically representing many of the world’s finest assets such as Restaurants.com, Capital.com and more. The company was co-founded by Chad Folkening, a longtime domain industry veteran, and John Ferber, co-founder of Advertising.com which was acquired by AOL for approximately $500 million in 2004. For more information about Domain Holdings Group please read our story. Do you remember the moment of inception? Where you there when it happened? Or have you only heard the story? The moment a light bulb went off. For some it happened in the shower or stuck in traffic. Others over far too many glasses of wine and thankfully it was scribbled down on cocktail napkins. The idea for your business was conceived. You invented a better mouse-trap. Or realized that no one was providing that product or service in your area. Or boldly, you knew you could do it better than existing businesses. However the prologue was written, your business was born. That euphoric moment soon to be followed by the hurdles, hard work, blood, sweat and tears required to get you to where you are today. A journey of joys, successes, heartbreaks and disappointments; one that you’d do again in a heartbeat. For many one of the first setbacks experienced comes shortly after settling on a name for your new venture; likely scrawled on that cocktail napkin. The trademark was filed, the DBA applied for and then came the disappointment. You logged into the domain registrar of your choice to register the perfect dot com for your business; but it was taken. You brainstormed, trying alternate permutations of your perfect name only to find time after time, they too were unavailable. If you were savvy you tried to figure out who owned the name, thinking perhaps you could contact them and buy it; only you were presented nonsensical contact information and an email address of alphabetnumericsoup@totallyprivate-donttrytocontactme-secretregistrar.com. It may have been instinctive or under the guidance of a talented web developer; but in that moment you were unaware of the importance of consumer Domain Bias, coined by a 2012 Microsoft study – a users propensity to believe a page is more relevant just because it comes from a particular domain. A domain that industry insiders would describe as a premium name or a brand defining name. How could it be possible that all the good names were taken? And yet they were. So you made the executive decision to settle for what was available. You hyphenated the name or opted for a non-dot com version. Domain Professionals will refer to this as a non-premium name. Possibly you added words, creating what would be referred to as a long tail domain. The star of your story… The star of your business… Settled that day. And that is not something a true entrepreneur wants to do. It matters not how long you’ve owned your domain, be it hours or decades. One fact is undeniable, it isn’t the name you originally wanted. For most of you the story includes tremendous effort building your website, constructing your brand and market strategy around that domain. Let’s face it, that domain is familiar to you now and you’ve grown like it. Though it still isn’t the name you originally wanted; and worse still it may not be perceived as relevant enough to your potential customers…losing business to your competition. The truth is, that taken doesn’t always mean unavailable. Individuals and corporations bought domains speculating, much like real estate investors, with a belief that the values would increase. They bought verbs, adjectives, numbers, colors and generic terms. They bought the perfect name for your business; the one you originally wanted. So where does a Premium Domain Broker fit into your story? Well every good story should have a hero. Someone with special powers like deciphering secret codes (alphabetnumericsoup@totallyprivate-donttrytocontactme-secretregistrar.com) used to rescue the star of your story from mediocrity. Do you remember the excitement? Do you remember the dream? To what heights you were going to take your company? Your product? Your service? And then you settled for something other than the domain name you originally wanted. There are still chapters to be written. The epilogue can still end Happily Ever After…taken doesn’t necessarily mean unavailable. In the distance a Premium Domain Broker sits upon a white horse, waiting for you to call for them. A couple months ago Andrew Allerman wrote a piece on the acquisition of the GoTo.com domain by a group of previous employees and I couldn’t resist trying to find out what they paid for the domain. Anyone who has been around long enough in this industry can remember the influence GoTo.com had on search. Founded in 1998 by IdeaLab, GoTo.com was an early search pioneer and invented a new way to connect businesses and consumers that we now recognize as sponsored search. Yes, they invented sponsored search and even coined the phrase “paid introductions” for CPC ads. Much like BINGO is part of our grandparent’s vocabulary (or Thomas the Tank Engine is to my son) both GoTo and Overture were key words in my every day discussion with people who knew about domains. Even after Yahoo’s acquisition of Overture in 2003 the GoTo/Overture Keyword Suggestion Tool and Keyword Score continued to be part of everyday life. Whether it was buying PPC ads or researching domain opportunities the amount of wealth created from these tools has to be several billion dollars I would imagine and anybody who bought domains in the first 13 years owes a debt of gratitude to IdeaLab for making this data public. Then June 30, 2008 happened and these tools disappeared. Fast forward to today and Google is slowly privatizing all keyword analytics data, still providing strings of the same “exact match” numbers – like 9,900 or 5,400 or 1,800 – making the data much less predictable than the Overture score and paid data models are popping up everywhere. When you stop and think about it we had a wealth of information for free and many of today’s portfolios would have never been built without the help of GoTo/Overture. Some things become cooler with age and as part of the “search” generation the GoTo brand is simply iconic to me, as much as a Commodore 64 would be to an Apple freak, William Shatner is to a Trekkie or as important selfies are to Justin Beiber. Recently, several former GoTo executives purchased the domain, Joshua Metzger among them. I reached out to Josh and he fielded a few of our questions. Q. How did you manage to acquire the GoTo.com domain name? A. Some of us who trace our professional roots back to the early days of GoTo have kept abreast of the domain since it was more or less retired in 2001, when the company became Overture Services and changed its business model from B2C to B2B. You’ll recall that Overture was acquired in 2003 by Yahoo. Last year, a fairly benign inquiry to the domain’s owner suggested it might be available and a few of us joined together to acquire it late in 2013. Q. Did you use a domain broker or privately acquire the domain? A. It was a private deal. Q. What are your plans for the GoTo.com domain and brand? A. We’re doing a fair amount of experimentation and testing in the area of search – let’s call it enhanced search – and it’s likely we’ll continue to do that for a while. You can check it out at the website, which has been resurrected as a simple search engine with the look and feel of the old GoTo.com. And, by all means, we’d welcome feedback. You can leave comments by clicking on the “About GoTo” tab. Q. When can we expect GoTo.com to start ruling search again? A. You have a good sense of humor. Q. How cool did you become with your friends after you owned the domain? Q. Any last words to GoTo fans? As you can tell my career for the New York Times is limited but this is a shining example of how even some of the best domains just may be for sale. These are just a few of the questions I am asked daily. Over the past few months, as a broker I have seen a more simplified approach from my buyer channel, specifically only buying .coms that are short, brandable or generic in nature. Many buyers and sellers are waiting on the sidelines for the dust to settle from the new GTLDS and no one really knows what will happen for sure. I do however have some key observations that I think are paramount to our business specifically, from the last 12-18 months. Owners of premium .coms have been more willing to sell at some incredible pricing that we have never seen before. The value of the .net has precipitously continued to decline, telling me that it will become the odd man out. Some clients intend to acquire the new TLDS as a defensive play to protect their existing assets. How Will The New GTLDS Affect the Evolution of the Internet? Its simply too early to tell. In my opinion, Google is the unknown. They continue to shape the user’s experience with relevant searches that only Google wants the user to see. Will Google, who has applied for more than 35 new TLDS, give them to their user base for free? Is this going to be the norm as we move forward? With all of these unknowns, I think its an incredible time to be in the domain space. Companies continue to find creative ways to capitalize and engage their audience with short brands that people can remember. Will users become adopters of this new strategy? Will brands have their client’s type in the likes of My.Bid to navigate to sites like Ebay or other auction platforms? I certainly don’t have a crystal ball, but I do have the knowledge and marketing background to understand that this is a very lengthy adoption process and it appears it will take many years for clients and users to get aligned with this new system…. Why The .Com Will Reign Supreme? One of my biggest arguments is the fact that if you spend any time watching television, you will see that your average brand typically markets their website in their commercial marketing. In a one hour television show, the networks cram in up to 16 minutes of advertising. In a normal break of 3 minutes and an average television spot of 30 seconds, you would have 6 commercials airing. We see as many as five out of six companies marketing their .com. In addition, it has taken over twenty years for consumers to take a liking to and see the credibility of online brands. Over that period, the .com has become the absolute dominant force of driving traffic and branding to some of the largest companies across the globe. Furthermore, you will see some early adopters that buy into the new GTLDS with a few of those new extensions becoming very effective tools to increase brand awareness and exposure on the Internet. However the next few years play out I am certainly looking forward to it! Joe joined Domain Holdings Group in 2010 and has been integral in the company’s overall growth. After 16 years of developing brands into successful businesses, he brings a wealth of hands-on knowledge from the business owners’ perspective and is well versed in Domain development and Internet marketing techniques including SEO and SEM. In addition, he is proficient in pay-per-click campaign management and has been certified by Google. His main concentration is attracting new clients to the various service offering of Domain Holdings and maintaining relationships with those clients.Prior to joining Domain Holdings, Joe was a principal for Encompass Communications, which offered marketing solutions and developed web strategies for small businesses. 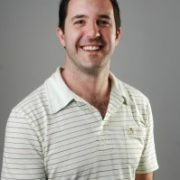 Joe graduated from Towson University with a degree in Marketing and Advertising and has been a lifelong Entrepreneur.